Parents sometimes leave unexpected memories with their children, and one of Robert Sheldon’s earliest recollections involves a Piper Super Cub and the smell of aviation fuel. This memory, he says, leaps to mind every time he catches the perfume of “avgas,” triggering a childlike excitement of small plane flight. For good reason. Sheldon’s father, Don, was a symbol of Alaska aviation, exploration and conservation, which meant a unique early childhood for Robert and his sisters, Holly and Kate. Sheldon’s name is legendary in Alaska for his exploits in Bush aviation, guiding and exploring Alaska’s wild country. I’ve always been fascinated with the intrepid men and women of flight during Alaska’s territorial days, including Sheldon. 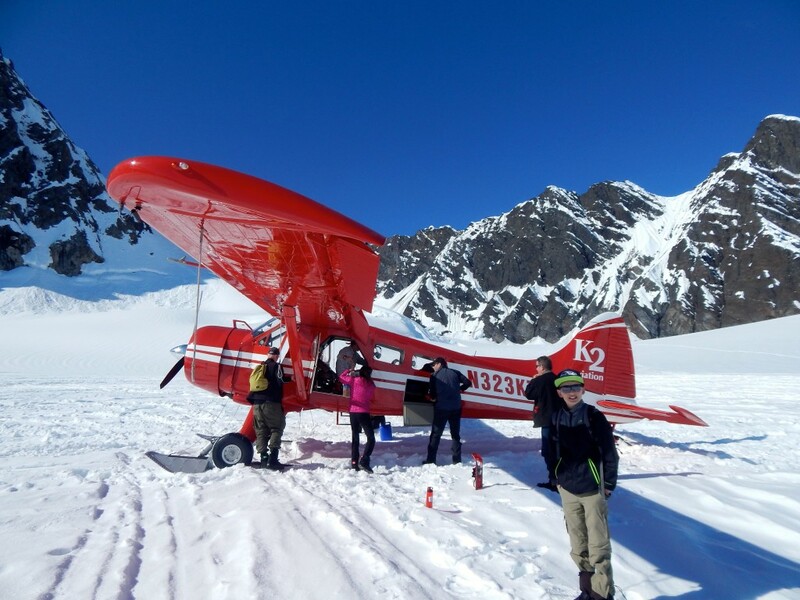 If you’ve taken a flightseeing trip near Denali National Park, you may have seen a tiny hexagonal structure perched above Ruth Glacier with wide, sweeping views of the High One’s inner reaches. This is Sheldon Mountain House, where Don and his wife Roberta welcomed enthusiastic mountain-lovers to their personal slice of North America’s highest peak. Sitting atop a nunatak, a rock outcropping above the icy footings surrounding it, Sheldon Mountain House was a carefully crafted retreat orchestrated by the elder Sheldons. Pre-statehood Alaska was raw, rugged and largely unsettled in the early 1950s, and Don Sheldon often flew with Bradford Washburn, director of the Boston Museum of Science and the man responsible for mapping the expanse of Denali and the Alaska Range. At the time, Sheldon was known as an expert Bush aviator. He had seemingly been everywhere, according to James Greiner’s book “Wager With the Wind”, but Denali was special — fierce, constantly changing and exceptionally beautiful. Sheldon was smitten, and before the establishment of Denali National Park and Preserve prevented private ownership, he purchased 5 acres of rock above Ruth Glacier. Don and Roberta loved the mountain, Robert and Kate told me, and wanted other people to love it too, believing that natural beauty should be shared. As flightseeing along Denali’s flanks and landing upon its glaciers gained popularity, the Sheldons saw an opportunity to encourage longer stays. Don strapped lumber to the outside of his Cessna 180 and the Super Cub, making multiple trips to Ruth Glacier before enlisting the help of two Talkeetna craftsmen to build Sheldon Mountain House in 1966. This wasn’t a typical cabin, even by Alaska standards. High above Sheldon Amphitheater, the original Mountain House sits at 5,850 feet and has the ability to impress anyone who climbs the 300 steep stairs to its front door. Once inside, the views from this 200-square-foot building are nothing less than spectacular. From there, Robert and Kate shared their family history and efforts to continue a project started by their adventurous mother and father. What Don and Roberta had in mind was a second building where luxury and rugged mountaineering met along the spine of the nunatak, but they couldn’t see the project through before Don’s death in 1975. As adults, Robert and Kate decided to move forward and build the larger structure the way they thought their parents wanted. Roberta passed away in 2014, and while organizing her affairs, Robert and Kate came across original plans for building No. 2. 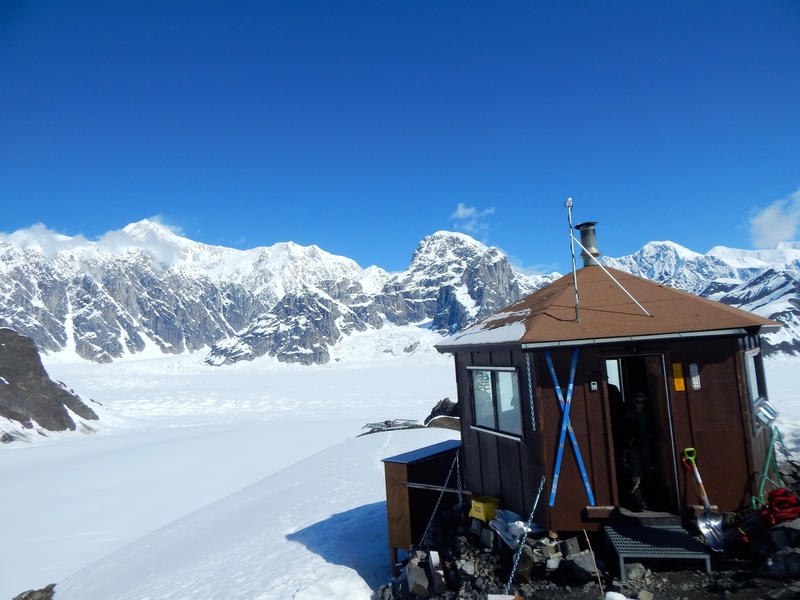 With two levels of common space, accommodations, and observation decks planned, the Sheldon Chalet is scheduled to open next year. The connection to his parents will be the crown jewel of the 2,000-square-foot building, Robert says — including such Sheldon family memorabilia as maps, photographs and clothing from his parents’ alpine excursions. I constantly remind my son that he lives in a state many people yearn to visit in their lifetimes. Robert and Kate Sheldon received similar reinforcement from their parents’ love of Alaska, translating that passion to the rest of the world in their own small way, 5,850 feet above sea level. K2 Aviation is the only air carrier providing transportation up to the Sheldon Mountain House and chalet area. Flights to and from are not part of the SMH trip package, which makes for a serious discussion about finances. That said, think big. A trip to this place may be worth the money. Overnight packages at Sheldon Mountain House right now begin at $250/night for 2 people, and proceed up from there, including a $1,250/night rate for renting the whole shebang. Optimum sleeping space is 6, but you can squeeze in a few more on the floor, or pitch a tent outside. Consult the website for details. 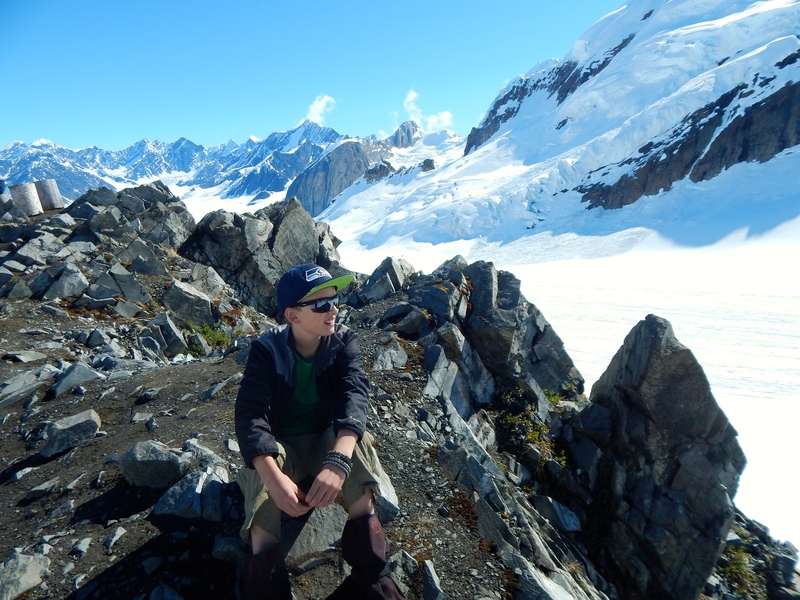 Families considering an epic adventure like this should consider the age and mountain savvy of their kids. Ages 10 and up are most appropriate (and indeed, the Sheldon Chalet will limit ages to 10 and up). Kids will not have a lot of room to run, so following directions and being able to self-regulate with respect to playtime is a mandate set by me who has been there. Children also have to be OK with using a 5-gallon bucket in a tiny shed, perched on an outcropping of rock, for an outhouse. Alone, because there’s no room in there for anyone or anything else. 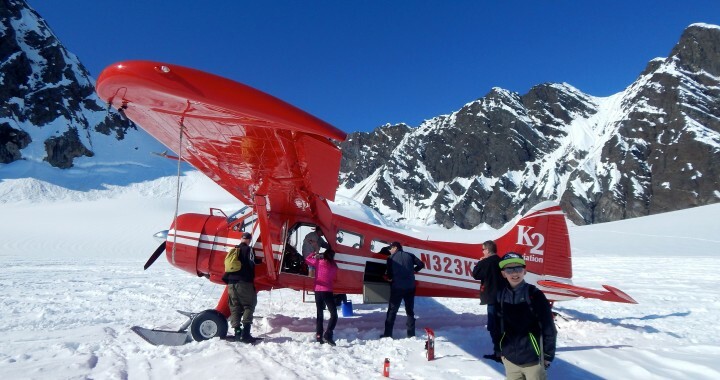 Posted in Big Adventures, Denali National Park and tagged Alaska, Alaska Dispatch News, Alaska with Kids, cabins, Climbing, Denali, Denali National Park, Don Sheldon, Family Travel, Flightseeing, Sheldon Chalet, Sheldon Mountain House.